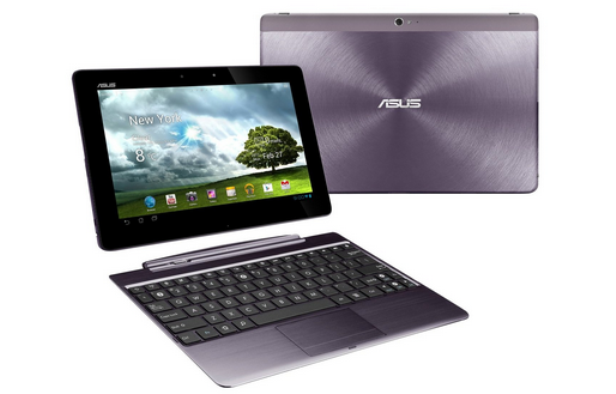 The Asus Transformer Pad Infinity TF700 LTE is a high quality tablet released at the end of 2012. The device with an IPS LCD capacitive touchscreen is one of the most craved models from Asus, but also one of the most expensive. If you own this tablet and begun experiencing software-related issues such as hangs and errors, you may want to regain functionality of the device. 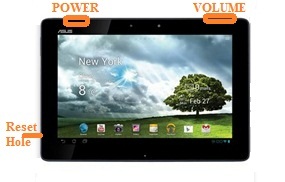 The solution we recommend in such situations is to perform a hard reset on the Asus Transformer Pad Infinity FT700 LTE. To better understand how this procedure works, we find it highly important to see what effect it has on the tablet. In a few words, resetting the Asus to factory software will not only solve all software problems quickly, but it will also give you a blank memory. This means that, on the downside, the process will erase all of the data stored on the internal memory of the tablet. To make sure you don’t lose anything important, we suggest making a backup of the data. Running on Android v4.0, also known as Ice Cream Sandwich, the operating system of the tablet can be easily upgraded to v4.2.1 of Android, known as Jelly Bean. Coming with a 1.5 GHz Qualcomm processor and 16 GB internal storage capacity, the device also has a card slot. This one serves for inserting an external micro SD card that could store up to 32 GB more. In terms of connectivity, the Asus Transformer Pad Infinity is equipped with 3G and 4G, as well as a Wi-Fi 802 hotspot and Bluetooth v4.0. Before reading any further, you’ll want to make a backup of all the data you’d like to save. To do so, you can use the micro SD card to transfer the files on or you can connect the tablet to a PC via the USB cable and create a separate folder with the documents you’re backing up. No matter which way you choose to save the data, it is absolutely necessary to have this information backed up safely, as the master reset procedure will wipe everything stored on the tablet. Turn the tablet off and fully charge it before getting started. Remove the battery and re-insert it into the tablet. Simultaneously press and hold the Power key and Volume Down button until the Recovery Screen appears. Using the Volume keys, scroll down to the Clear Storage option and press Power to confirm. Choose Yes to continue and press the Power key once again. The tablet is now rebooting and will be ready to use in 4 minutes. Switch the tablet off before proceeding. Take a paperclip and insert it into the Reset hole, holding it there for a few seconds. The tablet will automatically restart at this point.